Even as a pair of prominent researchers saw their reputations crumble over controversies connected to their work, a University of Washington team showed anew the importance of rigorous, transparent, independent, and widely shared medical science to patients, in this case those with cancer. Let’s start with the seemingly positive take that’s accompanying publication in the journal Nature of research regarding an open database with prospectively valuable information on BRCA1 variants, what some have dubbed the “cancer risk” gene. Everybody carries both BRCA-1 and BRCA-2 genes, named because BR stands for breast and CA for cancer. All of us have two copies of each gene, one passed down from our mother, the other from our father. The genes make proteins that help repair errors in our DNA that pop up from time to time when our cells divide and duplicate their genetic code. Mutations in either BRCA gene can disable the repair process and make both women and men carriers of the defect susceptible to certain kinds of cancer. The BRCA-1 gene is about 80,000 characters long in the DNA alphabet, which consists of four letters in a chemical alphabet: A(denine), C(ytosine), G(uanine) and T(hymine). These are repeated in pairs in varying sequence as part of a total human “genome” that is three billion characters long. Medical scientists for several years have struggled to better understand thousands of identified “misspellings” in the BRCA1 gene, some of which have been linked to aggressive breast cancer. Researchers also have linked BRCA flaws to prostate cancer. For patients and serious scientists alike, a challenge with BRCA research has occurred due to patents on the gene data held by a company named Myriad. It offers a $3,000 BRCA test, along with access to its proprietary research, long and deep information about which gene errors most heighten patients’ cancer risks. Myriad has built up this database with results from its BRCA tests, of which the firm in 2013 announced it had given 1 million. 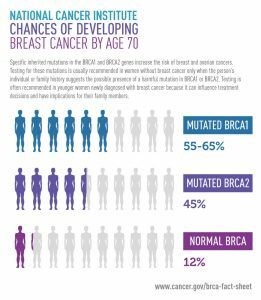 By deliberately causing every possible mutation of the kind that occurs most commonly in BRCA1, and tracking how cells growing in lab dishes respond, scientists at the University of Washington determined which mutations are pathogenic and which are benign … They also made that call for more than 2,000 variants whose health consequences have been unknown, a breakthrough that promises to spare thousands of women the anxiety of not knowing if their BRCA1 variant is a ticking time bomb or nothing to worry about. … The researchers have made their list of variant calls publicly available. 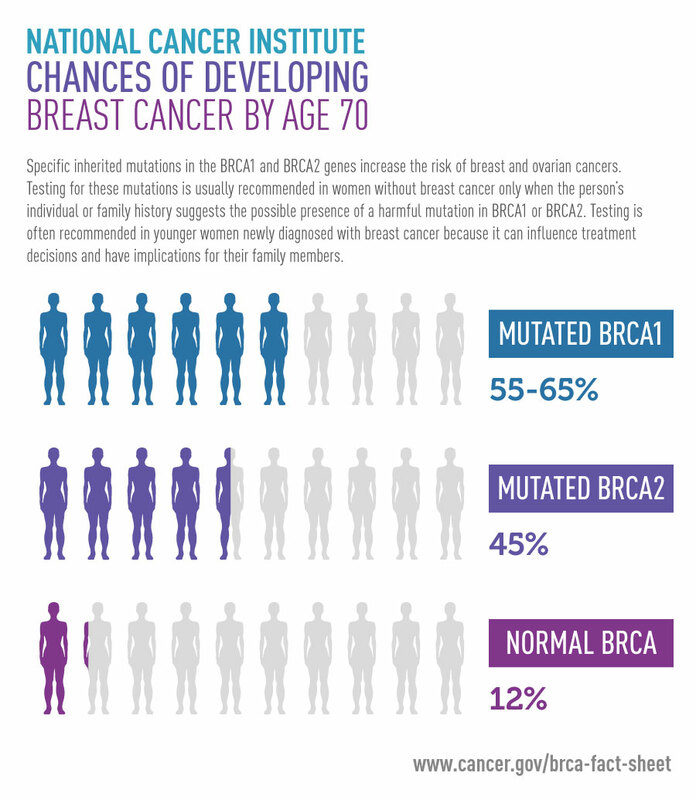 They urge physicians and genetic counselors to use the results to inform patient care, including advising women who test positive for a risk-raising BRCA1 variant to consider steps such as mastectomy and oophorectomy, as Angelina Jolie famously chose, or telling those whose variant is innocuous that they can breathe easier. To be sure, other researchers have advanced public knowledge about BRCA1 and its risks, but Stat reported that the UW effort is big and broad enough to merit attention. Still, as some other news reports underscore, patients especially, but also clinicians need to do better in using caution and skepticism in dealing with reports about medical science research. Doctors and hospitals love to talk about the patients they’ve saved with precision medicine, and reporters love to write about them. But the people who die still vastly outnumber the rare successes. … Targeted therapies tend to be least successful in patients who have exhausted all standard treatments …. In a study published last year in Cancer Discovery, precision medicine failed to help 93 percent of 1,000 patients. At the most recent meeting of the American Society of Clinical Oncology, researchers presented four precision-medicine studies. Two were total failures. The others weren’t much better, failing to shrink tumors 92 percent and 95 percent of the time. The studies received almost no news coverage. Szabo, a seasoned health journalist, takes pains to present balancing information that precision treatments are advancing medical care for cancer. Though their current costs can be staggering now — and they’re not necessarily extending patients’ lives or markedly improving their quality — precision therapies represent an important path for patients, and Szabo offers a caution about how they should be presented for now to the public. Still, the attacks launched online and on social media against her and her view also are telling, showing how strongly patients and their families need any kind of hope when dealing with a fearsome disease like cancer. In my practice, I see not only the harms that patients suffer while seeking medical services but their struggles and frustrations as they seek reliable, useful, and comprehensible information about accessing and affording safe, efficient, and even excellent medical care. Their search for credible health and treatment information, of course, often occurs in dire circumstance — when they are sick, exhausted, and they and their families are dealing with extreme financial and emotional stresses. That faith and trust that patients and families put in doctors and respected medical researchers makes all the more painful situations when leaders in the field stumble, as has occurred with Dr. José Baselga, chief medical officer at the renowned Memorial Sloan Kettering Cancer Center, and with Dr. H. Gilbert Welch, described by the New York Times as “one of the country’s most influential researchers in cancer screening,” and risks of its aggressive and excessive use, resulting in over-diagnosis and over-treatment. Welch’s controversy was long-running and had been out of public view, until a colleague went public with charges, sustained by Dartmouth University, that the respected health policy researcher had plagiarized research on screening and over-diagnosis of breast cancer. Welch had asserted that, though he had discussed information with the disputing colleague, he independently reached similar findings based on publicly available data. The university, where Welch long had taught and helped build the reputation of its health policy and clinical practice institute, disagreed and disciplined him, leading to his resigning. Baselga, meantime, became the focus of digging by ProPublica, the Pulitzer Prize-winning investigative site, which long has dogged doctors’ failure to disclose financial conflicts of interest and how they raise questions about patient care or published research. ProPublica reported that the Sloan Kettering leader failed to disclose millions of dollars in Big Pharma payments he received while publishing studies on drugs and cancer care in top medical journals. The journals, as well as medical societies, demand the disclosures, though adherence is largely voluntary though considered a fundamental, ethical practice of serious researchers in medical science. ProPublica and The Times found that Dr. Baselga had failed to report any industry ties in 60 percent of the nearly 180 papers he had published since 2013. That figure increased each year — he did not disclose any relationships in 87 percent of the journal articles that he co-wrote last year. In an interview and later statement, Dr. Baselga said he planned to correct his conflict-of-interest disclosures in 17 journal articles, including in The New England Journal and The Lancet. But he contended that in dozens of other cases, no disclosure was required because the topics of the articles had little financial implication. He also said his failed disclosures were unintentional and should not reflect on the value of the research he conducted. Decades of research and real-world examples have shown that such entanglements can distort the practice of medicine in ways big and small. Even little gifts have been found to influence doctors’ habits and their perceptions of a given company’s products. Larger payments have been shown to affect the design of clinical trials and the reporting of trial results, among other things. And such financial entanglements have proved devastating to individual patients — and to society at large. The opioid epidemic, to take one recent example, was partly spread by doctors who were persuaded to ignore warning bells and prescribe these drugs liberally by companies that showered them with gifts and consulting fees. Dr. Baselga’s lapses may not have touched off a drug epidemic, but they have damaged the reputation of a leading cancer hospital in which tens of thousands of patients place their trust every year. Medical institutions should prize that trust at least as much as they prize profits. They should work aggressively to keep themselves beyond such reproach. And they should hold leaders of Dr. Baselga’s rank to an especially high standard, because leaders more than rule books set the example that others will follow. Well said, with words that medicine should heed.